This long-time hotspot is a casual place for talking. 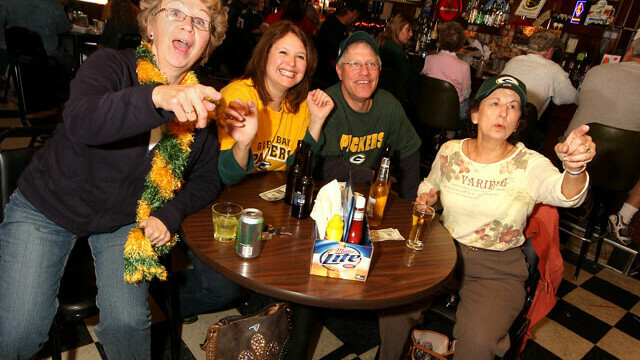 On Thursday it's overtaken by burger specials, and on Sunday it's all about the Packers. Locals and students alike flock for the late-night food, happy hour (Monday through Thursday 4-7pm), free popcorn, 20 rotating taps, 20 specialties, darts, and an array of board games. A fun, family-owned bar and grill that attracts a wide range of patrons, the Court 'n House is best known for its juicy burgers (they're in high demand every Thursday when you get two for the price of one). Their bar sports 20 rotating tap beers so there's always something new. Other favorites include the Icelandic Cod fish fry on Fridays. Open late.